Early morning after breakfast, check out from the hotel & proceed for Amritsar (250 Kms) which is spritual centre of Sikhism and home to Shri Harminder Sahib (Golden Temple). Check into the hotel. In the evening, visit India-Pakistan Wagah border and watch the famous retreat ceremony which is performed at this place every evening before sunset. Overnight stay at Amritsar. After breakfast, check out from the hotel and visit famous Golden Temple which has a unique Sikh architecture. It is built at a level lower than the surrounding land level and has four gates. Later, visit Jallian Wala Bagh which is adjacent to Golden Temple. Jallian Wala Bagh houses a memorial of national importance, established in 1951 to commemorate the massacre of peaceful celebrators on the occasion of the Punjabi New Year on April 13, 1919. 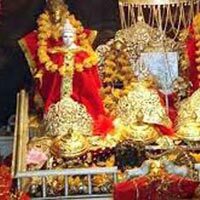 Visit Sheetla Mandir and other tourist destinations of Amritsar. In the evening, drop at Railway Station/Airport for return journey. 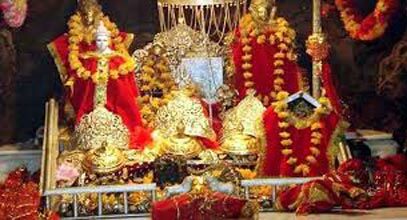 In case of departure from Jammu, proceed for Jammu in the early morning and drop at Railway Station/Airport.